One of the primary components that sets FitBUX apart from other finance companies is the inclusion of human capital into our analysis of each client. As important as human capital is, a large disconnect exists between SPTs, employers, and DPT programs. The University of Purdue and Gallop published a report that highlights the relationship between student debt, experience, and perceptions of college worth. We at FitBUX recently put out a survey that asked: What do you feel is the most important to increase your experience during PT school? The four answer choices in the survey were the top four responses from the Purdue/Gallop report. We’ve asked many employers, from hospital directors to private practice owners, what is the major skill lacking in their new hires, their answer, leadership skills. Many reports have been published that support this is a wide spread problem. For example in a recent AICPA Survey published in CFO magazine states that only 12% of hiring managers had no difficulty hiring good candidates. The number one desired skill that was lacking: you guessed it, leadership. Leadership is important because it proves you can multi-task and led a team. This is very important especially in the PT world because it allows your employer to leverage their time. For example, if I own a private practice I have to manage an entire team, market the business, deal with payments, and the list goes on and on. If I can hire an employee that can take some of that off my plate, it frees up my time to concentrate on activities that further build the value of my business. The overall takeaway and discussion for all industry participants should be: How as an industry do we bridge the disconnect between SPT/FreshPT expectations and employers? We admit, our survey was not scientifically the best survey. For example, just because leadership skills was the answer with the least responses does not mean individuals don’t think its important. However, it does highlight the disconnect between students and employers. For example, the top two choices have to do with you as an individual and what you want. The bottom two choices are skills sought by employers, those are experience and leadership. So how do you build leadership skills? To name a few, while in school, lead organizations, join governing bodies, or start an online venture such as a blog.  For example, you can join the House of Delegates. Post-graduation, you can manage groups such as ACL classes in your clinic. The list of what you can do is endless. Be creative. If you would like to see how our parent company incorporates human capital into their technology and what they are doing within the PT industry check out this page.